Buying any technology related products online is still by far the best way to save money over buying from traditional brick and mortar stores. The likely products you would buy for your PC/Mac are keyboards, mice, external hard drive, and headphones. 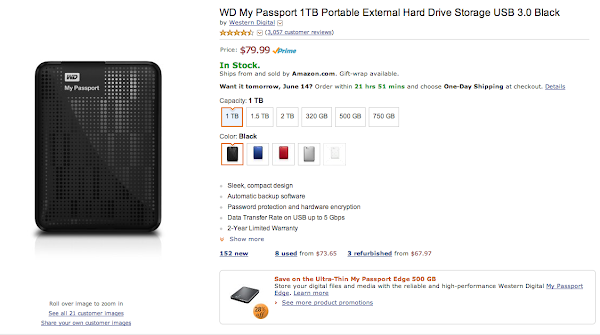 I’d like to focus on the external hard drives, since they are currently priced differently between the PC and Mac market. For all intents and purposes of these drives are to backup data of a machine running either Windows or Mac. Note the screenshots of the prices above were taken on June 13, 2013. The 1TB Mac drive is 45-50% more expensive than the comparable PC drive. 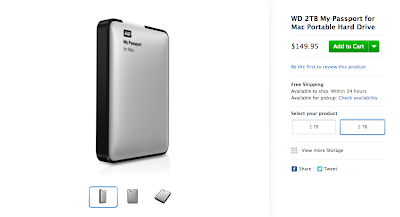 The 2TB Mac drive is 5-17% more expensive. Comparing them, they are the same size and basically do the same things. 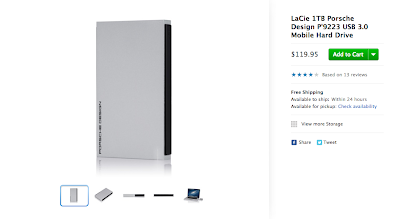 It’s just this Mac compatible product is priced at a premium. Well, yes the file system for Macs, HFS+ Journal, is different than Windows’ NTFS. But here’s the kicker, Mac OS X can format NTFS drives to HFS+. Simply formatting it will make it function just like the marketed Mac compatible product. 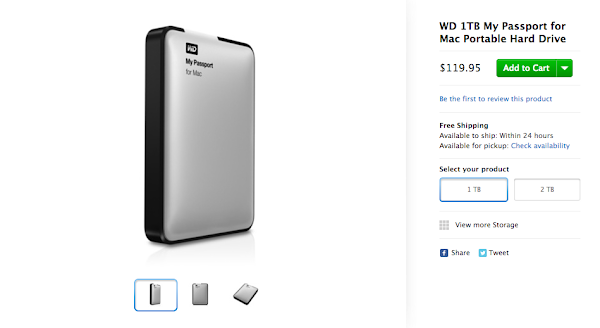 I verified this with an Apple genius when I asked what difference would be between a 1TB external hard drive sold at the Apple store, and a 1TB external hard drive with the same specs sold for a PC, but formatted into HFS+ Journal in Mac OS X. He sighed and said, “None”. I just don’t think an intelligent person should spend $10-40 more on something just because it’s marketed as an Apple compatible product, when there is a functionally equivalent PC compatible product that is cheaper that can be used instead with a little know-how. See below. After connecting the external drive to your Mac, open up Utilities -> Disk Utility, and find the drive and select Partition tab, and choose Format Mac OS Extended (Journaled). If you want to have an external hard drive that is compatible with both Mac OS X and Windows operating systems (OS), choose to format in exFAT in this program. 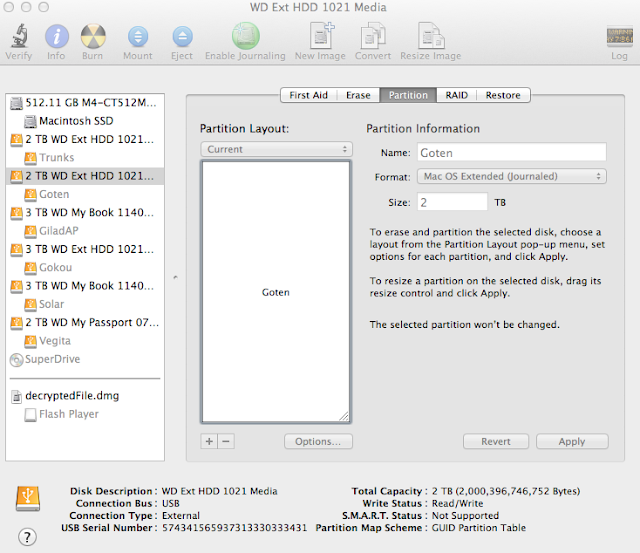 Both OSes will be able to read/write to this type of partition without any third party program. This is just like how geeks wouldn’t let their friends/family, or anyone really, buy Monster brand HDMI cables at Best Buy, when they’re so much cheaper to buy online. The marketing is misleading and is trying to part more money from you than it should. So in a nutshell, these Apple compatible external hard drives are over-priced. 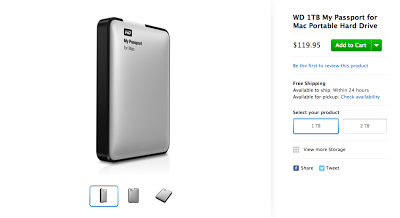 They’re functionally equivalent drives that does the same exact thing that’s much cheaper.